If you are a high net worth individual facing marital breakdown, it is natural to wonder about the financial cost that it could have. The English courts are known for their generosity towards the financially weaker party, making it all the more important to have specialist legal representation from top divorce lawyers. The English courts view marriage as a partnership and will look to share the assets built up during the course of the marriage. The court can also look to assets earned before the marriage to meet a spouse’s needs. Unlike in many countries, the court can also examine assets held through corporate entities, in trusts, and by family members. The wide discretion that the English court has means that it is vital to get the best representation possible. You will need to meet your spouse’s claim with strong arguments about the value, liquidity, and origins of your assets as well as countering their proposed needs and entitlements. 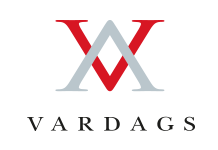 As a top family law firm, Vardags can help you get the best possible result from your financial proceedings. Our combination of elite lawyers and in-house financial forensics team offer unrivalled legal advice focused on protecting your assets. I'm worried my spouse will have an unrealistic view of what I'm worth. It is not uncommon in high value divorces for spouses to have inflated ideas about the value of assets, especially where parties have had a high-spending lifestyle. That mismatch between expectation and reality can prove costly for both parties, if not kept in check. Where this is the case, full and frank disclosure will be vital – demonstrating that there are no hidden assets and reassuring your spouse that everything is on the table. Equally important will be obtaining thorough valuations. As top family lawyers, Vardags are used to dealing with valuation in complex divorce cases. Vardags know the right questions to ask to get a realistic valuation. 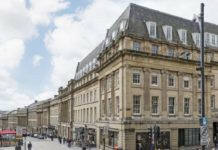 Combining family law knowledge with corporate experience, and our own in-house forensic accountancy team, we have well established links with expert valuers for almost everything, including businesses, properties and art collections. When reports are prepared we will ensure that the expert is asked the right questions, for example analysing the method and multipliers which they employ in business valuation and raising key questions such as discounting and liquidity. By providing full disclosure and ensuring the valuations before the courts are as accurate as possible, we will help achieve an outcome which reflects the reality of your financial situation. I'm worried my spouse will start spending uncontrollably. In a high net-worth divorce case, a party can start spending recklessly for a number of reasons. Sometimes, they want to dissipate their wealth into easy to move and hard to find property, on other occasions the profligacy is designed to inflate their budgets to secure more maintenance – inflating the “needs case” which the court will look at when dividing the assets. Sometimes they simply have a new partner upon whom they want to lavish cash and gifts. Each of these goes against the intentions of the court, and a top divorce lawyer can help you. Freezing orders in family law are used to prevent a wealthy party from dissipating their assets. This is a form of injunction which restricts a party from spending above their reasonable needs. If they breach it, they can be fined or jailed. Add back in can be used in family law to cover other types of reckless spending. Where a party has deliberately engaged in wasteful spending, the court can add that amount back into their side of the balance sheet, effectively meaning it is taken wholly out of their share. We will use the court’s power to order disclosure of your spouse’s historic bank and credit card statements. Through thorough forensic analysis, we will be able to show just how their spending has varied and use this to highlight discrepancies between their past behaviour and their current expenditure budget. We will present this evidence to the court to undermine their case. Vardags are experienced at obtaining freezing orders and successfully running add-back arguments. We will do all we can to protect your case from your partner’s uncontrollable spending. I'm worried my spouse will restrict access to my children. Custody and access – more properly called “Child Arrangements” or “residence and contact” – can prove to be emotionally fraught litigation, especially where one party is threatening to deny the other time with the child. The court will always look at child centric outcomes and the welfare of the child will be paramount. The starting point will always be that the child should spend time with both parents, except in very unusual circumstances. As leading family lawyers, Vardags are used to negotiating child disputes and finding solutions that work for parents and children for the long term. Where a parent wants to take their child to live in another country, and the other parent does not agree, he or she will need to issue an application for permission to relocate. Once again, the court will have to be satisfied that such a move is in the interest of the child, including considering the amount of contact with the non-resident parent. As international family lawyers, Vardags are used to representing parents in such concerns, coming up with creative solutions that suit parents and children. If you partner has or is threatening to leave the country without the permission of the court, this can be international child abduction. As top family lawyers, Vardags can help to act quickly in such cases, including getting orders to seize their passports or to prevent them leaving the country. If they have already left, and are refusing to return, international family law can be used to ensure the child’s return. I'm worried my spouse will interfere with my legitimate business activities. As an entrepreneur, investor, or business owner it is natural that you would be concerned about the impact your divorce will have on your business activities. As well as the personal and emotional toll, a poorly managed divorce can lead to your spouse restricting what transactions you can enter into and attacking the value held within your business. In the course of proceedings, you are required to maintain the financial status quo and not do anything that can be seen as “dissipating assets”. That should not, however, restrict you from making legitimate investments, and divorce should not be seen as a blanket ban on moving capital. Likewise, spouses can often try to extract the cash reserves held in a business, arguing that they should be paid out to meet their claim rather than being retained for future investment. Throughout proceedings, it will be vital to present your business affairs in a clear and transparent manner in order to avoid attracting suspicion and appearing in a bad light. With our in-house corporate expertise and knowledge of corporate and family law, Vardags will help you protect your business activities. We will help you reassure your spouse that your transactions are legitimate, whilst ensuring any settlement is truly in tune with the needs of your business activities. For those involved in a family company, where a spouse might be a shareholder or a director, we can also assist. Often parties worry that their spouse might make things difficult, harming trade and the long-term interests of the firm. We can advise on how best to manage difficult situations like this, including when and how the intervention of the court might be necessary. I'm worried my spouse will be too greedy. The court has wide powers to make financial awards, and it is vital that you are able to set out the proper values of your assets and fight to define your spouse’s entitlement. When the court divides assets in family cases, it looks to all the property over which you have an interest. Where this property is not in your legal name, the court may still invade it if you have a beneficial interest or it can be demonstrated that the assets are still under your control. It is not uncommon for spouses to allege that gifts or trusts made by the other should fall in the matrimonial pot. Often this is justified, as some use such structures to hide their true wealth. In many cases, however, these suggestions are unfounded and it will be important to demonstrate that these trusts and gifts are legitimate. Where a party believes that the other has deliberately alienated wealth in order to frustrate their claim – by making spurious gifts or settling assets into trusts – they can apply to have that transaction set-aside. If the court is convinced that a transfer was made to frustrate a marital claim, it can under section 37 of the Matrimonial Causes Act reverse the transaction. Vardags will help you set out the history of these dispositions and show them in a transparent way. Whether you have sought to provide a benefit to your children, a charity or any other purpose, we will help you protect that settlement. Using our experience in high value claims, which often include both spurious and legitimate trust structures, we will marshal the facts and the law to ensure the gifts and transfers your have made are not invaded by the courts. I'm worried my spouse will unfairly start the divorce in England. 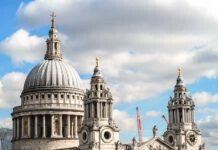 London is known as the divorce capital of the world and is famous for big payouts to financially weaker parties. Often people will want to have their divorce heard in the English courts to maximise their claim, even if they have no right to. Jurisdiction in relation to divorce is governed by a complex web of English, European, and international law. Generally, you will only be able to get divorced in England if you, or your spouse, has been resident or domiciled in England. If there is more than one European country in which you are able to get divorced, the “correct” jurisdiction will be determined by where the proceedings are started first. 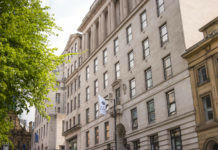 If the jurisdiction is disputed between England and a non-European country, the court will consider which country is the most suitable to hear the dispute, considering where the assets are located and the previous lifestyles of the parties. Jurisdiction disputes can lead to lengthy and complex court proceedings prior to the financial remedies procedure even starting. Often it will require a detailed examination of how the parties lived in both the short and long-term. Vardags are very experienced in such disputes. If you fear that your spouse is doing or might do this, it is vital you react quickly. Time is of the essence when it comes to jurisdiction; and Vardags, an international family law firm, can help you make sure your case is fought in the most appropriate jurisdiction. I'm worried my spouse will be violent. If you fear violence or are subject to violence the court can and will protect you. For victims of domestic abuse (be it physical, verbal or emotional harm) the court can make non-molestation orders and occupation orders each giving you comprehensive legal protection. Non-molestation orders (“non-mols”) are designed to protect you from harassment. Normally, they will prevent your ex-partner from harassing you and threatening you with violence. Sometimes they will bar them from contacting you directly and from going near you. An occupation order, often obtained in tandem with a non-molestation order, will help secure you in your family home. The order can secure your rights to live in the home (even if you are not the owner) and can prevent the owner from returning there. Alternatively, an order can be used to divide the family home in two, with each party having their own secure space. Non-mols are backed by criminal law. Breaking one is a criminal offence, and your partner can be arrested immediately if they break the terms, even if they have committed no other crime. Your local police will be notified that the order is in place and will help protect you if the order is broken. Vardags are sadly used to supporting people in these frightening circumstances. If you fear domestic violence, we can help you get these orders and advise you on to how to best protect yourself. We will advise you on the appropriate medical and psychological evidence put before the court and do all we can to build up the evidence in your case. In addition to court orders, we can introduce you to providers of specialist security so that you can have peace of mind in your home and elsewhere. If you feel at immediate risk of domestic violence, please contact the police straight away. I'm worried my spouse will allege that I have been violent. Though uncommon, false allegations of domestic violence can be extremely distressing. As leading family lawyers, Vardags know how to defend such claims and put forward your case. Where false allegations are made before the court, the consequences can be very serious. Under an occupation or non-molestation order you could be removed from your home and arrested by the police. Such orders can also have significant impact on your professional life and be used to limit the time you spend with your children after separation. Vardags are experienced at dealing with such claims. We will ensure that the correct version of events comes before the courts and prevent false allegations from damaging your life and your reputation. Vardags’ in-house criminal defence experts can also help you should false allegations of domestic violence result in arrest or criminal charges. If you have been served with an ex parte order (where your spouse has already been to court without notifying you) we can help you present your case at the return date and get any orders currently in place lifted. I'm worried my spouse will throw me out of our house. Starting divorce proceedings can be frightening and full of uncertainty; however as leading family lawyers, Vardags will be able to guide you through the first steps. Many people worry that their partner will try to exclude them from the family home. Under law, a spouse has the right to remain living at the family home even if it is owned in their partner’s sole name. This is because of a principle called “home rights”, which also, when properly registered, prevents your spouse from trying to sell the property from under you or from kicking you out. As experienced family lawyers, Vardags are used to helping people register and protect their home rights and will help you to continue living in your family home.